BEIJING -- China is demanding the U.S. drop a request that Canada extradite a top executive of the tech giant Huawei. 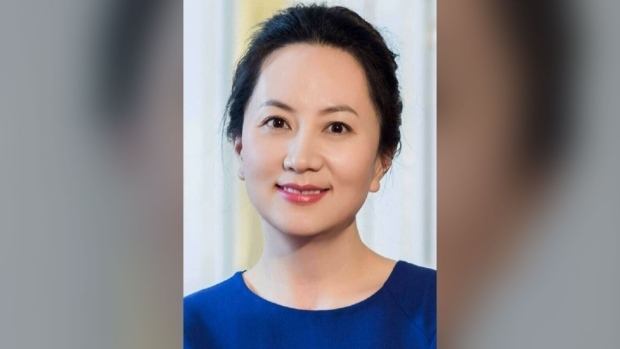 Foreign Ministry spokeswoman Hua Chunying said Tuesday that Meng Wanzhou's case was out of the ordinary and Canada's extradition treaty with the U.S. infringed on the "safety and legitimate rights and interests of Chinese citizens." Hua's Tuesday remarks come after More than 100 academics and former diplomats signed a letter calling on China to release two Canadians detained in apparent retaliation for Meng's arrest. The letter says the arrests of the two send a worrisome signal to those who work in policy and research in China.